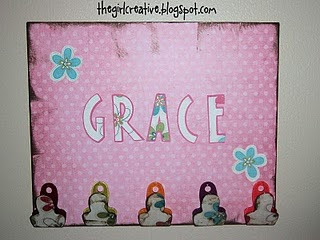 Every Creative Endeavor: Blog Swap with The Girl Creative!! Today I am blog swapping with the cute girl over at The Girl Creative! Show her some love!! Today I'm going to be telling you a bit about myself and then sharing some of my favorite projects with you so please get comfy. 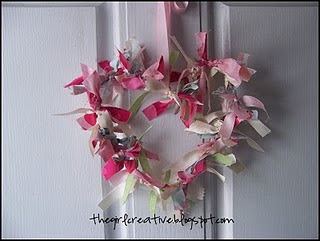 This is a wreath I made for Valentine's Day using an old wire hanger and some scrap fabric and ribbon. Would you believe that this is an old DVD case? This project was super, super easy. 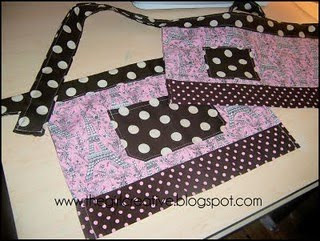 I had an adorable pillowcase dress that was too small for my girls so I turned it into 2 aprons, one for each of my girls. A trip to the dollar store and a little imagination gave me these personalized boards for my daughter's room. This is quite possibly my favorite project to date. I love how they came out. Thank you so much for letting me share a small part of my world with you. I hope you stop by and visit from time to time. We'd love to have you. Thank you, Amanda, for swapping blogs with me. I had a blast! 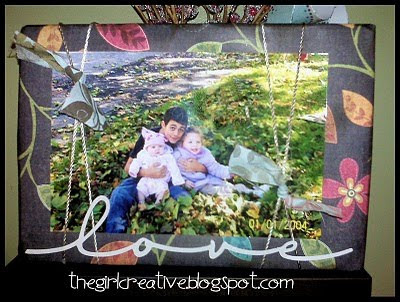 Hi Diana, Love your blog! I will add your link to mine! Thx for sharing your creative talents!